This top-of-the-line cyan toner cartridge with Smart Printing Technology provides perfectly crisp and accurate colour reproduction. 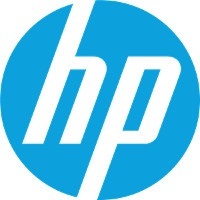 It is intended for Hewlett-Packard laser printers and is suitable for high-quality colour printing at high resolution. For shipping to other EU countries visit this page HP 124A Cyan Original LaserJet Toner Cartridge (Q6001A). Chcete doručit zboží do Česka? Prohlédněte si HP Q6001A azurový. Chcete doručiť tovar na Slovensko? Prezrite si HP Q6001A modrá. Magyarországra történő kiszállításért tekintse meg ezt a termékoldalt: HP Q6001A kék (cián).